The Coldplay and U2 show Double Header Combining two of the biggest acts in the world into one great nite of entertainment. The Coldplay and U2 show takes the audience on a showcase ride of all the hits of these great international acts. The show combines accurate costuming and replica instruments to make the audience feel as they are actually watching the real band right in front of them. 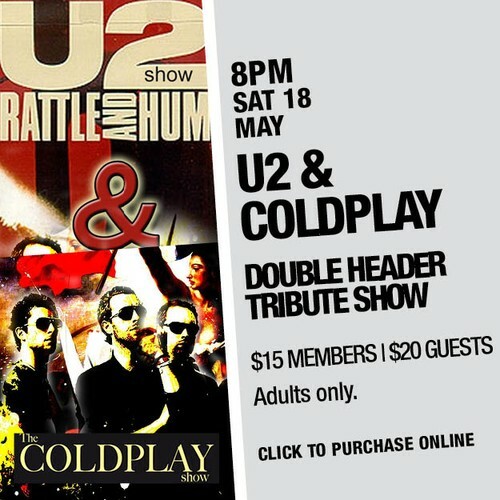 This show has some of Australia's best tribute musicians in the backing band and comprises of a superb Chris Martin and Bono impersonator to round of this great tribute show.